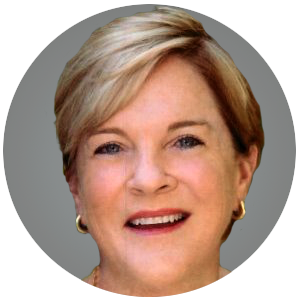 Kathleen Maguire Miller has rejoined The Ratkovich Company as Vice President of Marketing and Communications. Kathleen joined The Ratkovich Company in the mid-1980’s as the Marketing Director. In that role she was involved in the acquisition, leasing and management of several award winning, urban renewal and historic renovation projects including the Fine Arts Building, The Wiltern Theatre and Pellissier Building and Chapman Market. In 1993, Kathleen joined LA’s Mayor Riordan’s office as Field Deputy and was promoted to Assistant Deputy Mayor, charged with providing interface, commission oversight and direction for several departments including Recreation & Parks, Libraries, City Clerk and the Controller’s office. 1994, she helped to form the Mayor’s LA Business Team from inception, branding/marketing and program roll out. As a founding LA Business Team member, worked with the City Clerk to draft the ordinance that allowed Business Improvement Districts in Los Angeles. In 1998 Kathleen became President of the Riordan Foundation and took on the task of leveraging Riordan’s financial support and influence to improve public education in the LAUSD. In 2001, Kathleen returned to Los Angeles to help manage a diverse portfolio of commercial, industrial and agricultural properties.